Legal advice is always in demand. Every company out there, regardless of the industry, is a legal entity. Individuals, startups, and businesses all require legal advice at some points, which is where your legal expertise comes into play. With a pay per call legal advice line, you can work yourself or hire a team of legal professionals to provide legal advice to those in need. Take a look at the most significant benefits of running your lawyer line. 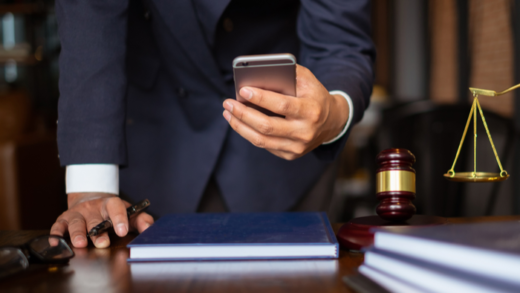 With a legal advice pay per call service, you can set your work hours and conduct business from any remote location where there’s a phone connection. PayPerCall can transfer your calls to any phone number in the U.S. or Canada as well as your mobile phone. The flexibility comes with many advantages, such as saving money that you’d otherwise spend on car gas or commuting, avoiding traffic-related stress, and the increased feeling of control over work environment and schedule. If you already work in a law firm and have specific work hours, your pay per call lawyer service can come as a great additional stream of revenue. Of course, your callers benefit from the convenience of not having to go to you directly but reach you over the phone. A pay per call service allows you to receive calls from all around the country, which means you’re not limited exclusively to your local area. That is also beneficial concerning scalability as you won’t be needing to invest a lot of money like in traditional expansion but only to add a few more pay per call lines. There’s no need for any additional equipment or extra office space. Having PayPerCall provide you with your phone lines, you are offered flexible pricing as well as whether you want to charge by the minute or by the call. For example, if you’re a lawyer who charges $50 for a 60-minute call, you earning potential looks like this. A lawyer pay per call line can be promoted with some email and social media marketing, which will help you build your clientele and keep expanding your business. Today, people like the flexibility and convenience offered by modern technology, and they’d instead make a call than leave their home to come to your office. Pay Per Call team will install your pay per call lines, and there’s no need for additional equipment or use experience. All your calls will be billed to your caller’s debit or credit card in real-time, and we will send you a check or direct deposit every month for all calls made to your legal advice line. We also provide tech support and call reports that will show you how much money you’re making. Owning a lawyer line practice, you will get access to a broader market, more clients, more flexibility, and an additional stream of revenue without having to spend a small fortune. Reach out to PayPerCall directly if you want to start your lawyer advice line, and we’ll help you promote and scale it when needed.